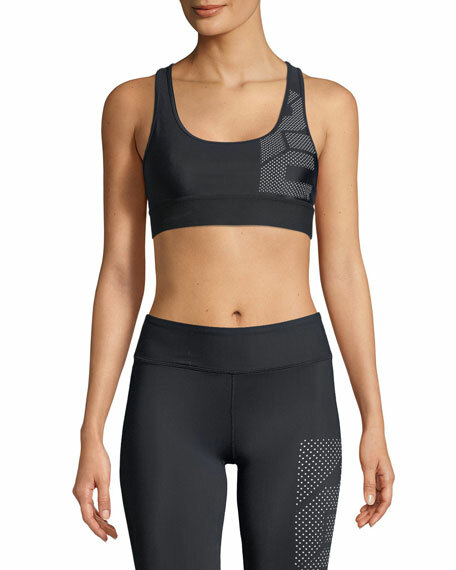 P.E Nation "The Hustler" sports bra in moisture-wicking performance fabric with 4-way stretch. Technical fabrication for support, resistance, & recovery. Scoop neckline; racerback for enhanced freedom. Ideal for low-medium impact workouts. Micro-star logo print on side. For in-store inquiries, use sku #2534242.